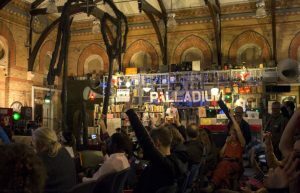 This blog looks at the growth of community energy in the UK with Transition Network’s Naresh Giangrande and Chris Rowland of OVESCO who will be presenting at the Transition Network Conference. 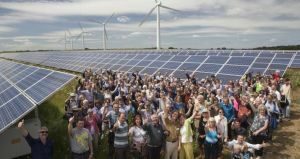 The DECC (UK Department of Energy and Climate Change) Community Energy Strategy in 2014 did a systematic assessment and found at least 5,000 community energy groups active in the UK since 2008. That’s a lot of energy groups. We regularly heard the DECC minister (now sadly out of government) Ed Davey speak of how instead of the big six energy companies in the UK he wanted to see the small 50,000. Community owned energy is already big business and getting bigger. We now have several community energy investment web sites where investors can get very attractive rates of return by investing in something they believe in. These sites include Ethex, Trillion Fund and Abundance. This adds up to a quiet revolution in energy enabled by good government policy, web based peer to peer investing, and people who wish to get a return on their money but are shying away from investing in more traditional places like the stock market. This shift is being driven by investor appetite, a failure in traditional investing strategies both because of a failure to generate the sort of returns, high risk, and well-documented market rigging, and also something called impact investing. Impact investing is investing to achieve a return in something you also believe in and wish to support. It is also being driven by government support, mostly through the Feed In Tariff or FIT, but also through sensible planning regulations (except notably for land based wind projects) and other measures. There is also the wish by many communities to own their energy resources, which unlike fossil fuel are local, generate jobs and investment, and are location specific. Chris will be presenting a day-long workshop at the 2015 Transition Network International Conference on the 18th of September, 2015, at Seale-Hayne near Newton Abbot, Devon. If you want to find out how to get in on the big opportunity that community-based energy is presenting then this workshop is designed to do just that. This event is one of a number of in-depth how-to, day-length workshops designed to provide learning from some of the pioneers in community-based businesses. Chris Rowland speaking about OVESCO. How long have you been involved in community energy? In 2007, OVESCO started with PV solar installations. At that point, no one thought PV would work, so we looked at a hydro project instead. Further investigation revealed that developing hydro was very difficult and there were all sorts of planning problems involved. In the end, the Feed-In Tariff came in that made PV installations work for the first time. We began with Harveys Brewery in 2011 after a year of talking to them. Planning wasn’t much of an issue as it was a rooftop installation on an industrial unit in Lewes. Ed Davey had a vision of a ‘small 50,000’ energy companies, rather than a big six. Was this hype or is it achievable? There has already been a large increase in the number of energy cooperatives and also the number of share offers they are managing to make. Cooperatives UK say that the greatest single type of co-operative amongst their members is the energy co-op. So in some ways, the vision is already on its way to being achieved. Saying this, we have to have the right government policy that continues to support the growth. The 28% cut in feed-in tariff is going to hurt and it will be interesting to see what effect this has on the sector. As of 11 April 2012, the energy regulator Ofgem had identified 403 community energy projects receiving FIT support, that number will have grown significantly since then. The existing energy generation coops at that time were already generating 20.8MW of renewable energy and had part ownership in a further 1.2GW of larger commercial schemes! The Feed-In Tariff made all that possible. 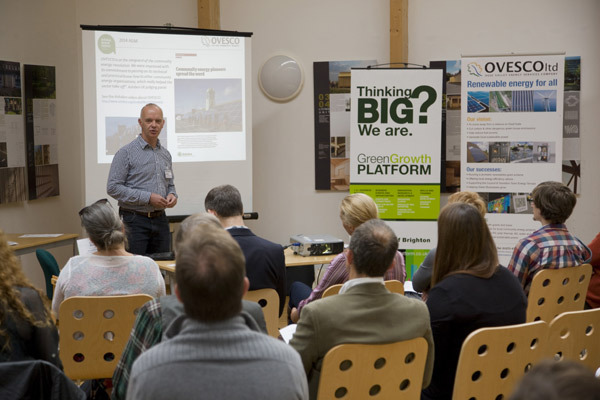 We know from our own share offers that there’s a huge interest in community energy from the public and from investors. Since our 2011 issue, we’ve spent a lot of time mentoring other groups setting up – or already set up – as energy cooperatives to get them off the ground. Some of these have been successful in their own launches. This kind of peer-to-peer support is invaluable to new enterprises, as much as the financial support is in many ways. 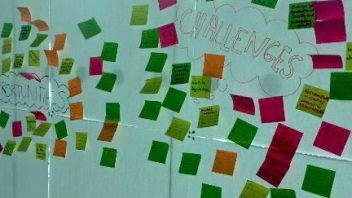 What is the potential for community energy? It comes down to government policy. For example, there are changes in what Co-ops can receive in terms of investment tax relief. That tax relief gives co-ops an advantage currently, but the range of eligible co-ops has been squeezed and the relief is now only available if you are a community benefit society. This is an example of the stopping and starting that causes uncertainty in this industry. The drop in FITs will give community projects an advantage because these groups can still access a social tax relief if set up right, whilst commercial companies will not be able to. Other government policy is more difficult, especially around wind farms of course. What does the future hold for OVESCO and others? We work closely with our Local Authority, Lewes District Council, who are providing some good support, including investment and loan capital for certain projects. The Council are even planning to provide sites to us for further energy development, which is something that it would be great to see happening up and down the country. OVESCO are continuing to work with Good Energy at present and they are a company who are looking to work seriously with community energy groups up and down the country. We’re also in conversation with OVO. We are currently looking to Germany as the leading edge location for community energy development, there’s so much going on there in this area! The other big area of breakthrough is energy storage, we are seeing battery technology moving on. Some homes are trialing battery technologies for Good Energy and others, even using their electric cars as a battery to store energy. 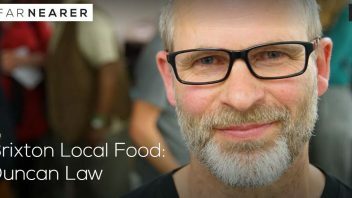 Do you think community ownership is the way to go? I certainly don’t see large companies as the way to go for the future of energy, though they will always be in the mix. I want the energy sector to be predominantly community owned. If you as a community own your own company you will look after it and you will also ensure that energy developments are not intrusive and are well sited. There’s plenty to be done in terms of working directly with communities. For large scale development you need to have the community on your side and educate the community as to the benefits of these technologies and this model of ownership in particular. The real benefits will appear once it becomes easier to buy the energy direct from the site, then, I think, people will really begin to understand the potential of what we’re doing here. Saying that, there are already multiple economic, ecological and social benefits to the local community in terms of what we can currently do. A solar farm could bring £1 million to a community over its life-time, for example. Those developers who were quick to take up the opportunity have done very well out of it all! Graduated from the Royal College of Art as an MA furniture/product designer in 1988, and worked in the design and build construction industry for over 16 years on projects for McLaren, HSBC, Shell and GSK. Architectural Glass Design Manager for Komfort Workspace PLC for four years before joining Ovesco Limited as a Director and project co-ordinator, managing the Ri/REG grant scheme and Energy Efficiency Advice Service. Excellent project management and construction skills and knowledge of design and build.